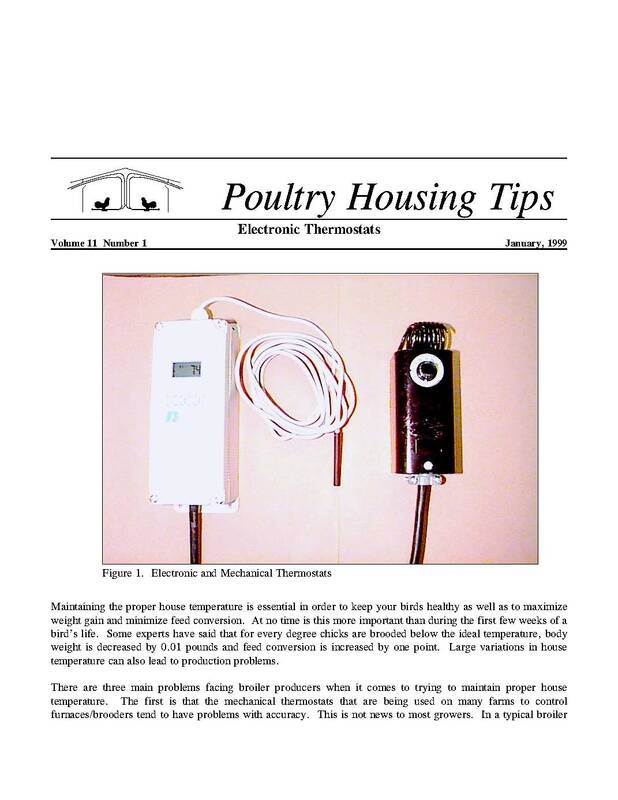 Maintaining the proper house temperature is essential in order to keep your birds healthy as well as to maximize weight gain and minimize feed conversion. At no time is this more important than during the first few weeks of a bird's life. Some experts have said that for every degree chicks are brooded below the ideal temperature, body weight is decreased by 0.01 pounds and feed conversion is increased by one point. Large variations in house temperature can also lead to production problems.